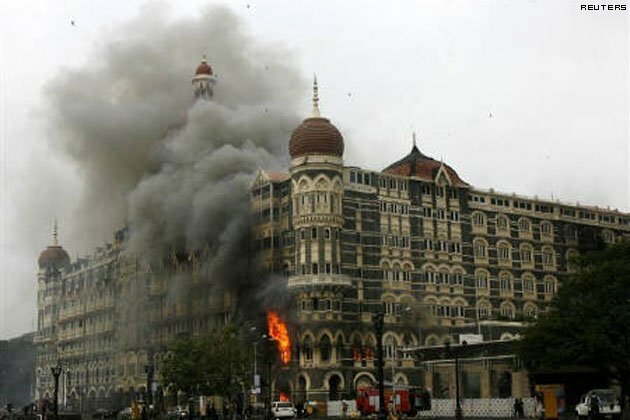 In November 2008, 10 Pakistani Islamists carried out a series of twelve coordinated shooting and bombing attacks lasting four days across Mumbai. The attacks were conducted with the support of Pakistan Government’s intelligence agency ISI. 174 people were killed in the raids across Mumbai, including 10 attackers. The Mumbai terrorists leaders cheered and praised Allah as the infidel hostages at the Taj Hotel were lined up and shot dead. The Mumbai terrorists also sexually humiliated their victims at the Taj before killing them. Pakistani forces raided one of the Lashkar-e-Taiba (LeT) camps in December 2008 and arrested a leading figure and suspected planner of the Mumbai attacks. Zaki-ur-Rehman Lakhvi was a ringleader in the Mumbai plot and identified by the lone surviving gunman captured in India. On Friday Pakistani authorities released the mastermind of the massacre less than seven years after his imprisonment. Mumbai terrorist attack (2008) mastermind Zakiur Rehman Lakhvi was released from a Pakistan jail on Friday. Lakhvi, who is the main accused in Mumbai attack that claimed 166 lives, was released from Adiala Jail in Rawalpindi without any prior announcement. A court had suspended his detention on Thursday. Members of Jamaat-ud Dawa (JuD), banned by the United States of America were present outside the prison to receive Lakhvi. Meanwhile, India has lodged protest over release of Lakhvi. Indian High Commissioner TCS Raghavan today met Pakistan Foreign Secretary Aizaz Ahmad Chaudhry to lodge protest over the issue.